What do humanists celebrate? Do humanists mark important times in their lives such as births, deaths, and marriages? Do humanists have non-religious ceremonies? Find out what humanists celebrate and how such occasions are an important opportunity for them to show love, commitment, and support to fellow human beings. Here you can find resources on humanist naming ceremonies and humanist weddings. For resources on humanist funerals see Life and Death. Why do humanists celebrate new life? 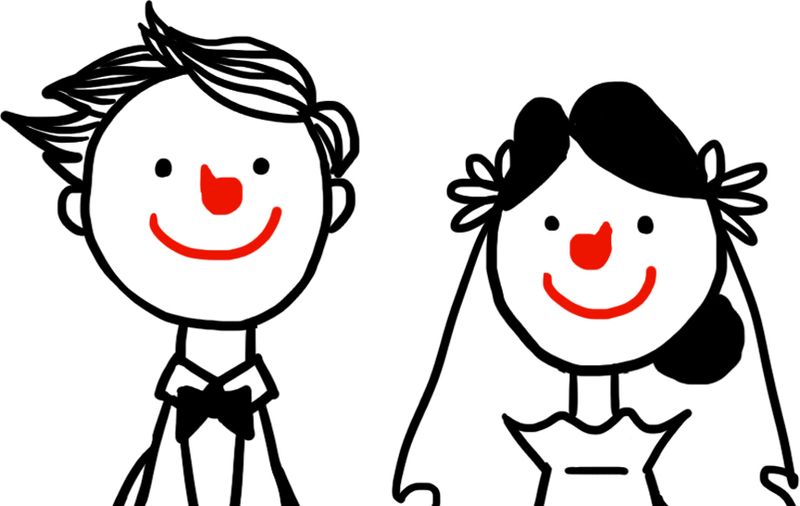 A two-minute video animation explaining humanist naming ceremonies, weddings, and funerals. What do humanists celebrate and how do they mark important events in their lives? Three short stories about a girl's perspective on a humanist naming ceremony, wedding, and funeral. Photocopiable worksheets and lesson ideas are also available. Secular Naming Ceremony: This film presents a humanist celebrant explaining their role and gives an example of a reading at a humanist naming ceremony. The Lion King: The opening scene from the Disney's The Lion King featuring the song, The Circle of Life.